One of the biggest conflicting pieces of advice in the blog world is the debate between posting consistently and posting highest-quality material. Is it more important to post on a regular basis, or is it more important to have high-quality posts? There are blogger gurus firmly camped on both sides of the debate. I previewed a blogger boot camp in which one of the three main sections was "Consistency Matters." I've also read many highlights of Alt Summit, and the focus was on less frequent, higher quality posts. Here are some of the main arguments for both sides. One of the most vital things you can do to build an online presence is posting and promoting regularly. The more frequently people see your name across all social media sites, the more likely they are to recognize, remember, and connect with you. Pageviews, pageviews, pageviews! The more you post, the more clicks you'll get. Of course your monthly pageview count will be much higher if you post twenty times in a month than if you post only three or four times that month. SEO benefits. Search engines prefer to rank sites that publish content frequently and regularly (source). Simplified, this means the more you post, the more likely your blog is to come up on a search engine like Google. And since only 8% of people go on the next page of results in a Google search (source), you want your blog to make the first page. Consistency is a sign of a well-organized, committed blog. It's not the only sign, but it is an important one. Brands are much more likely to invest in reliable bloggers who make and stick to a posting schedule when it comes to promoting their products. Quality is what makes a lifelong reader. Quality is the difference between a blog you stumble across, scroll through, and think "meh," and a blog you stumble across, read ten posts in a row, and then subscribe to future posts. It is the difference between a one-time browser and a life-long reader. Quality is more marketable. Readers get something out of a good quality post: either they learn new information, or they are inspired creatively, or they connect emotionally with your posts. Content like that is more likely to be shared, repinned, liked, and otherwise promoted online. Good quality blogs make it worth the readers' time. Quality helps you stand out. We live in a world of information overload. Millions of bloggers/ authors/ journalists write millions of articles about millions of subjects, every single day. Quality is what makes people return to your blog. Of course the short answer is both. My favorite blogs post consistently and have high-quality content. They maintain a schedule and each post is significant. Blogging truly is a business for these people, and they're really good at their business. However, I think every blogger is faced with the quality versus consistency dilemma at one point on their blogging career. If they haven't posted for a while, should they post something for consistency's sake or should they keep holding off for quality's sake? You know that saying, "If you don't have anything nice to say, don't say anything at all?" In the blogging world, it's "If you don't have anything meaningful to share, don't share anything at all." I did not understand this as a new blogger trying to grow my blog. All the time, I'd tell my husband, "I haven't posted in four days! 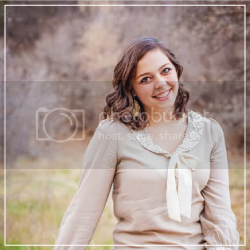 Let's do something fun together so I can put in on my blog!" The result was a lot of lower-quality posts that weren't meaningful to anyone, not even myself. And that's the type of blog nobody wants to read. So don't make the same mistakes I made! It's okay if you haven't posted in a few days. If you don't have anything meaningful or important to say, just hold off until you are inspired by something and are passionate about sharing it with the world. After all, that's what is so awesome about blogs. They're purposeful and creative and inspiring. 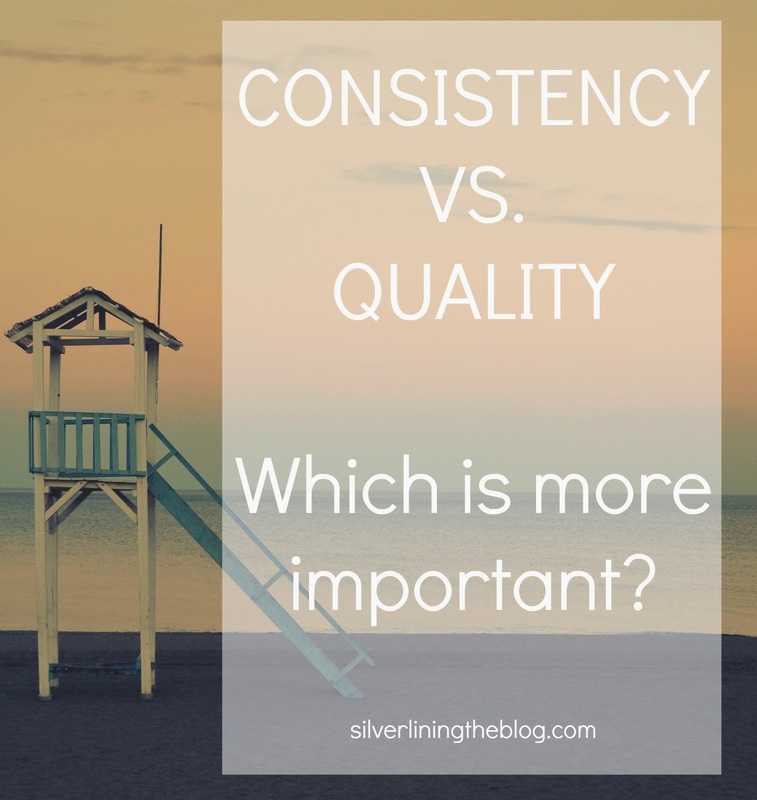 Is quality or consistency more important? And how do you strive to maintain both?